The Turvill family picking strawberries on their family farm. 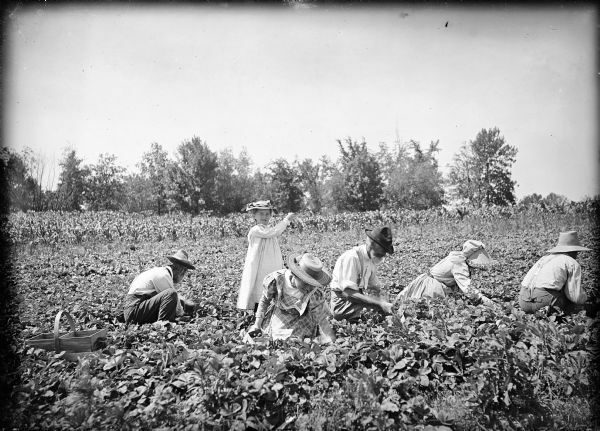 Five family members, men and women, are crouched in the field picking, and a young girl stands in the center pointing to the right. Trees are in the background. The image appeared in the July section of the 1982 Wisconsin Historical Calendar.